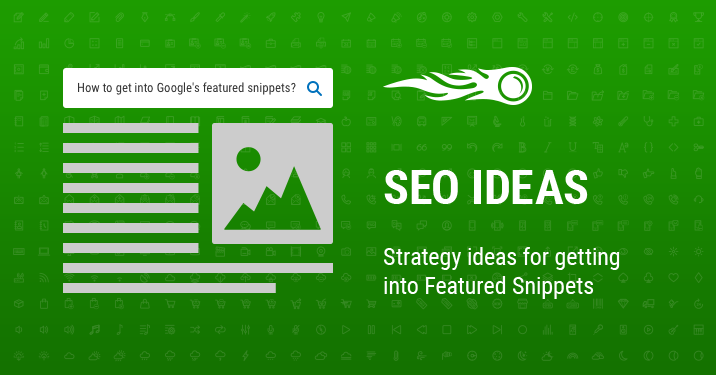 With the recent update, SEO Ideas will provide you with an idea of how your landing page can get into a featured snippet, as well as give you detailed data on all the keywords and competitors that are already ranking in featured snippets, in case you want more in-depth analysis. With this information, you can compare your competitor’s on-page and off-site characteristics with yours, and get an idea of how to optimize your page for a particular set of keywords to boost your chances of getting into a featured snippet box. It’s a Google search summary of an answer to a user’s query, displayed in a special featured snippet block above the top 10 search results. It consists of a summary of the answer provided by a webpage, a link to that page and its title. Getting your page into a featured snippet is a great opportunity to increase its visibility, CTR and traffic, since it’s the first page that a user will see in Google search results. How can SEO Ideas help you? If you already rank in the top 10 for a certain keyword set, but Google shows someone else’s page in the featured snippet box, you can get into the box by optimizing your page based on your competitor’s page’s characteristics. There are two ways to discover this data. For both of them you need to have an active project or create a new one, and access the SEO Ideas tool. Go to ‘Optimization Ideas’ and filter the ideas by Strategy. The next step is to click on the green ‘Idea’ button for a landing page you’d like to optimize. If your URL is ranking within Google’s top 10 for a particular keyword set, you will see an idea suggesting that you include certain keywords to get your page into a featured snippet. 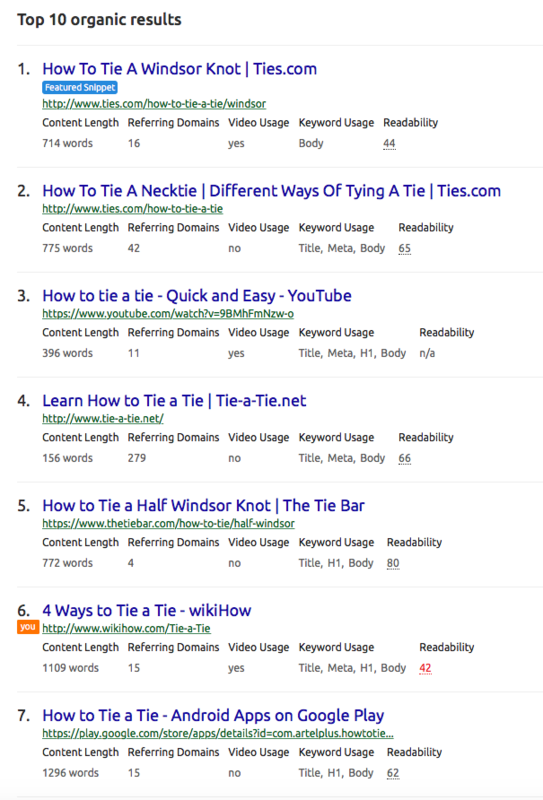 After you click on those keywords, you will see a detailed Google SERP analysis for the keyword set indicating which page is currently in a featured snippet. Below you can see the top 10 organic results and your page’s position. Now you can study your competitor’s URL’s characteristics and get ideas, such as content length, referring domains, video usage, keyword usage, readability and ordered list usage. It’s time for you to optimize your page! You can just go to the ‘Top 10 Benchmarking’ tab and browse for a ‘Featured Snippet’ label, which will take you directly to the SERP analysis described above. We hope to see you in a featured snippet soon! What do you think about this update? Should you have any feedback or suggestions on how to improve the SEO Ideas tool, drop us a line at [email protected]! Thank you for making SEMrush better!